Of particular note was the performance of Ella Beaumont as Alice… but it was as much an ensemble piece as one for individual performances and the cast as a whole worked together well to make this an enjoyable performance…The set builders also deserve praise. The set was cleanly designed and simple but worked effectively to convery the bizarre scenarios in which Alice finds herself. 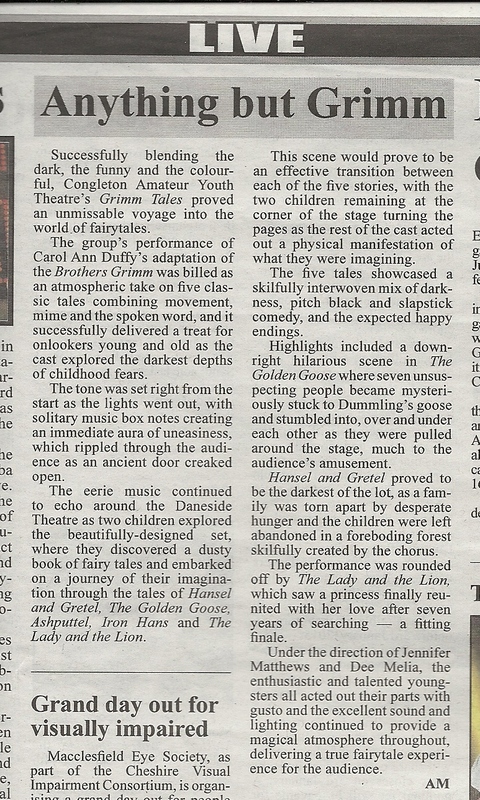 Congleton Chronicle reviewed our production of Grimm Tales and concluded “Enthusiastic and talented youngsters and excellent sound and lighting combined to provide a magical atmosphere throughout, delivering a true fairytale experience for the audience”. 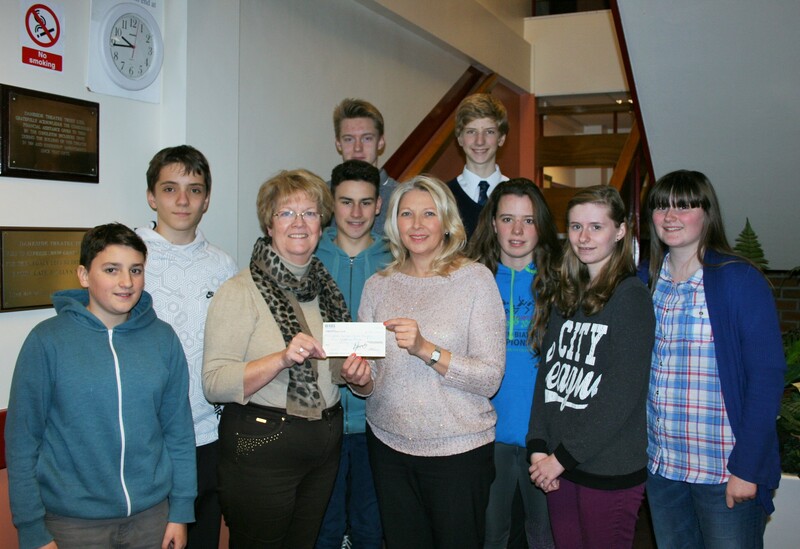 Beartown Radio interviewed some members of the Treasure Island cast, fresh from the final night. You can hear the interview on the Music & Sounds page. 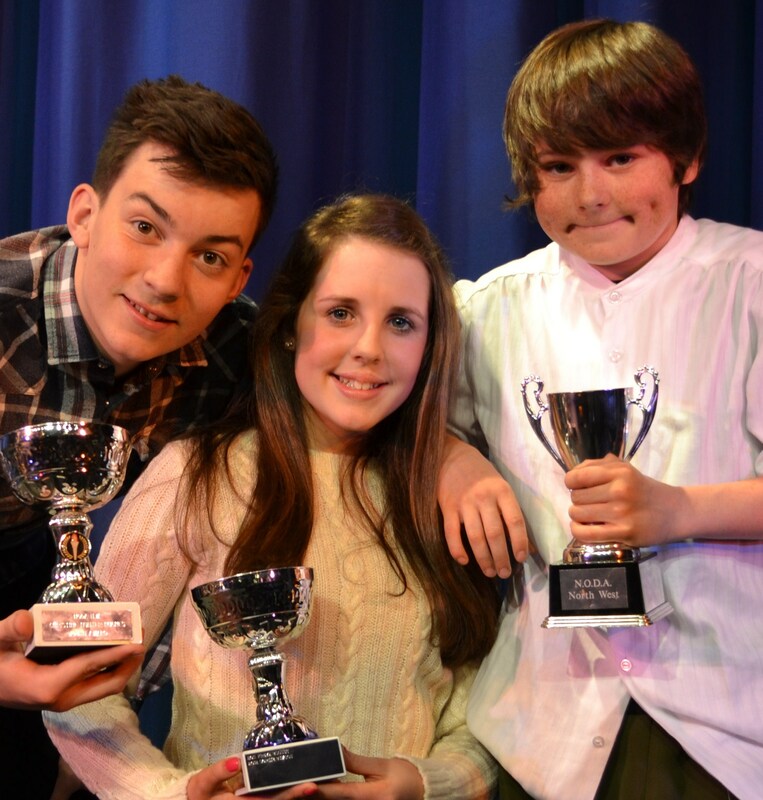 Three of our actors have won first prize at the North West NODA awards on 4th May 2013! Congratulations, Harry Jones (Best Leading Male Actor), Sophie Buxton (Best Leading Female Actor) and Joe Pearce (Best Supporting Male Actor). All three won due to their wonderful performances in The Tempest in 2012. The Tempest was directed by Jen Matthews and Dee Melia.